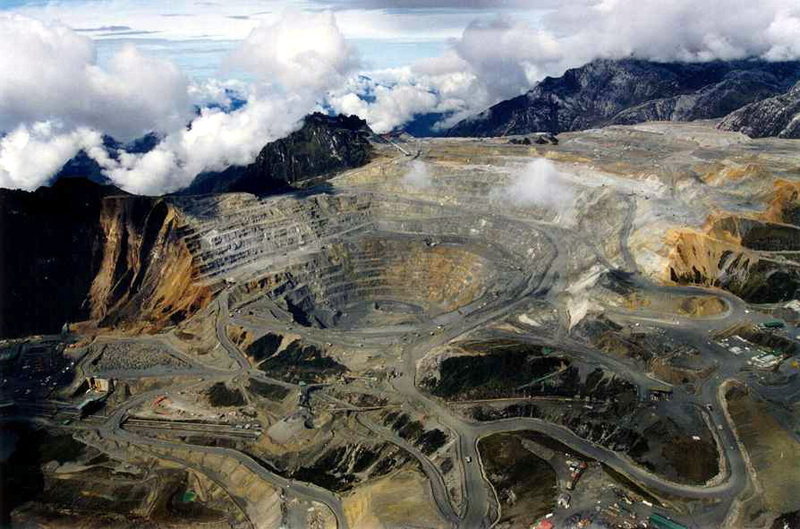 Freeport-McMoRan and Indonesia signed a binding landmark agreement for the U.S. miner to hand over majority control of the giant Grasberg copper and gold mine to a local state-owned firm, in the country’s biggest ever divestment by a foreign resources company. The U.S. producer will continue to operate the mine under the agreement, which culminates more than a year of talks. The accord will allow Indonesia to issue a special mining license for Freeport to run the world’s second-largest copper mine through 2041. Freeport and Asahan Aluminium, known as Inalum, will complete the transaction before the year-end, Sadikin said. A decision by traditional leaders in Wallis and Futuna to reject work related to seabed mining has been welcomed by a regional body of non-government groups. Earlier this month the kingdoms on the French Pacific island of Futuna ruled out allowing any further exploration of the seabed in their waters, saying their stance is final. 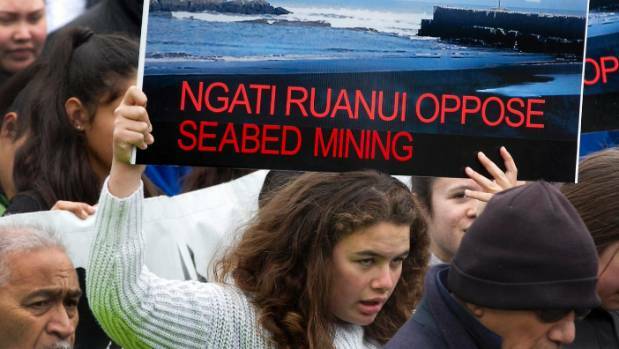 The Pacific Islands Association of NGOs ,or PIANGO, said it stands with community and church groups around the region who call for a ban on seabed mining. 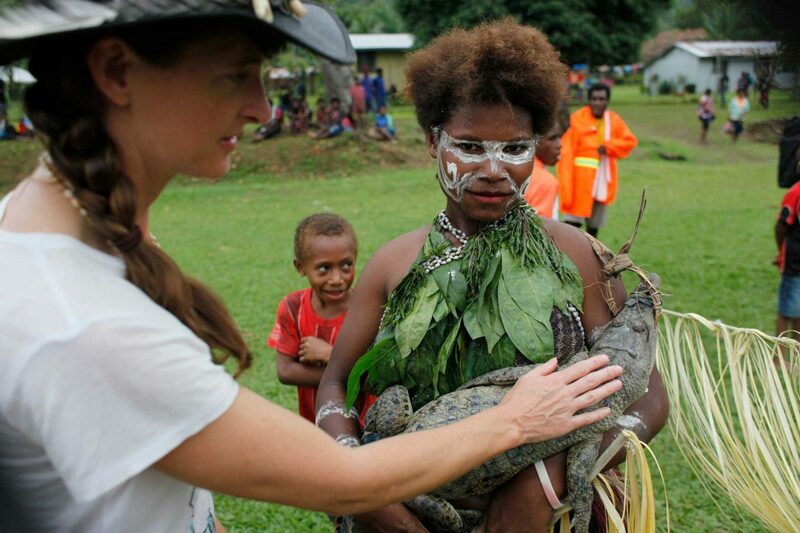 PIANGO director Emele Duituturaga said there were environmental concerns and also a lack of clarity around the financial benefits that resource owners will directly receive. She said in the current geo-political environment and age of cheque-diplomacy it is important for the voices of the people to be heard. Emele Duituturagasaid the lessons and experiences of mining in the Pacific should be heeded when contemplating exploration of the seabed. She said there should be a ban on seabed mining around the region, and that the same environmental and benefit issues surrounding terrestrial mining, exist around seabed exploration. French scientists have visited the territory and said the question of underwater mining will remain. THE Moran oilfields landowners are threatening to shut down the gas fields if the remaining balance of K35 million State commitment to them is not released before the World Leader Summit (APEC) in November. 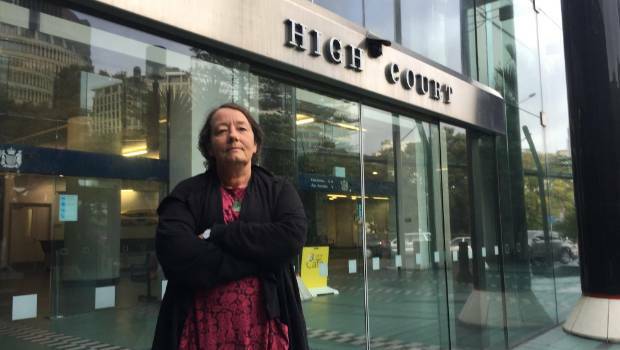 Liya Molo, a chief from the Paua clan in the petroleum development licence-5 (PDL) area, claimed that though there was an existing authority on the ground to manage the funds, both political and administrative system in Waigani are capitalising on the excuse of not having an authorised authority, resulting in the delayed release of funds. “Moran field or unit reservoir straddles three different licences namely PDL-2 block 2006, PDL-5 block 1934 and PDL-6 block 1933. “In geotechnical terms, oil in PDL-2, PDL-5 and PDL 6 are in communication, therefore the oil from this three licensed areas are pulled together. “The landowner leaders in 2009 have entered into an agreement and also formed three associations to manage funds (PDL-2 Apporo Uri Landowners Association, PDL-5 Homa Paua People Association and PDL-6 Pai Parapia Resource Owners Association,” Mr Molo said. He said numerous attempts have been made to have the funds released but attempts have been in vain. It was noted a document produced on a decision by National Executive Council on May 19, 2011, on the allocation and implementation of outstanding memorandum of understanding funds and projects, shows that some funds have been released to Kutubu, Gobe, Moran and Hides Gas. For Moran, of the K50 million committed, K15 million was released with an outstanding balance of K35 million. The NEC in its decision 86/2011 during meeting number 15/2011 on the status of the state’s outstanding commitment to Kutubu, Gobe Moran oil projects and Hides Gas on electricity project costed K235 million, agreed in connection with the Licensed Based Benefits Sharing Agreement in 2009. This showed that some funds were released to the four areas. NEC approved the breakup of another K100 million in the 2010 supplementary budget. Mr Molo said this did not eventuate with the remaining K35 million to be split among the three licenced areas on Moran oilfield to carry out the intended projects which are on hold due to unavailability of funds. He said any individuals, company or group that has interest in the K35 million should approach their associations. “The state and its agents should not entertain individuals or groups but should deal with the three recognised associations,” he said. Axiom is now fully permitted to commence mining of the Isabel nickel project (San Jorge), with first shipment of ore expected in Q1 of 2019. 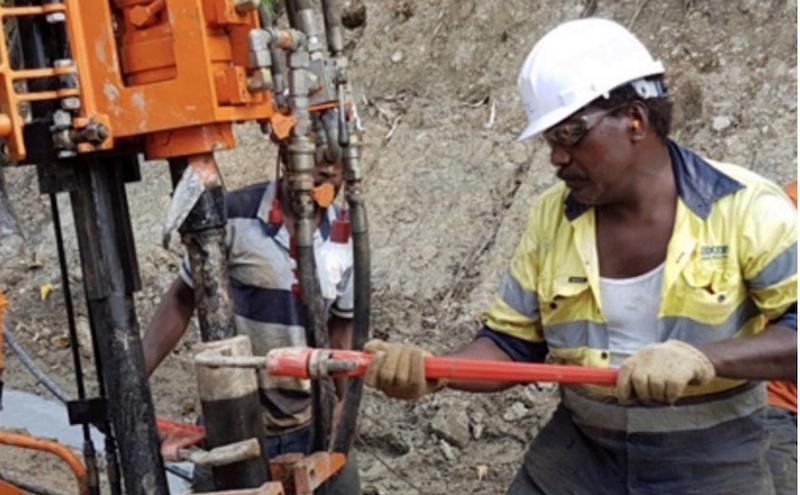 Minerals explorer, via its 80%-owned subsidiary AxiomKB, has been formally granted a mining lease by the Solomon Islands government for the San Jorge nickel deposit, which sits within the company’s flagship Isabel nickel project. The 25-year lease has been issued for the extraction, export and sale of nickel ore and associated commodities from San Jorge and allows Axiom to commence construction at Isabel, with a view to commercial production in early 2019. 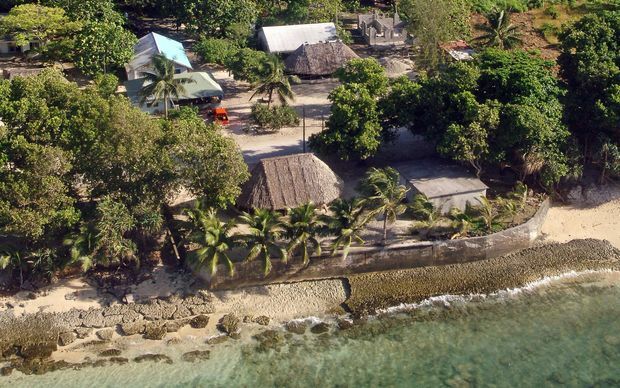 In awarding the lease, Solomon Islands Minister for Mines, Energy and Rural Electrification Bradley Tovosia commented on Axiom’s contribition to the local region. “The Isabel project is to be an important part of our economy, and it is exciting to see real production now moving forward for everyone’s benefit,” he said. 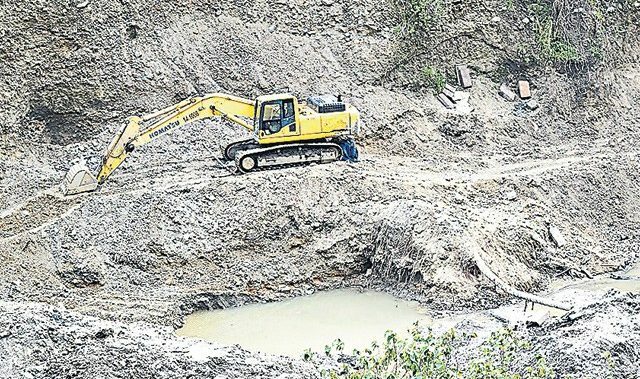 Upgrades of a temporary exploration camp to a long-term mining camp have commenced, in addition to the construction of supporting roads and loading facilities. Community consultations are also underway in preparation for the first shipment of ore.
Financing for life of mine construction and development is in the advanced stages and due to be finalised over the coming weeks. The Isabel nickel project is widely considered one of the largest nickel laterite deposits in the Pacific region, hosting a historical non-JORC deposit of 159 million tonnes at 1.1% nickel and 0.07% cobalt. 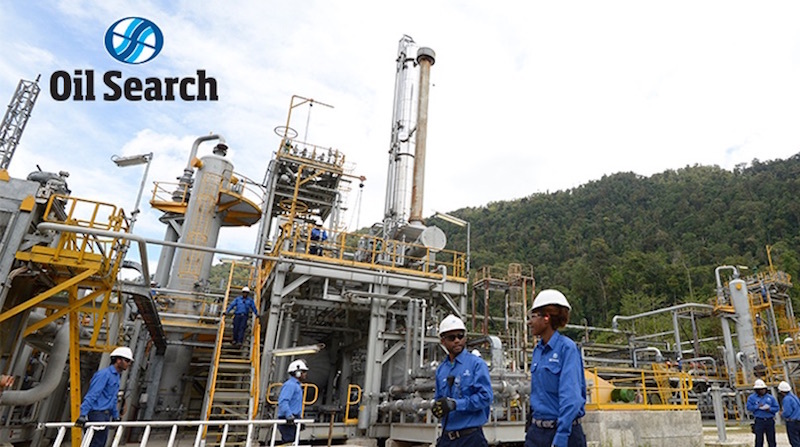 It comprises a number of deposits within the Solomon Islands’ Isabel province, including the key deposits of San Jorge and Kolosori, operated by AxiomKB (Axiom 80% ownership) in partnership with local landowners (20%). Both are spread over 36 square kilometres each, with San Jorge accounting for approximately 50% of the known deposits within the Isabel acreage. The deposits at San Jorge sit very close to the surface in uninhabited land along a shore which encompasses a natural deep water harbour – all qualities which will enable Axiom to bring a direct shipping of ore operation to the market in a timely and environmentally-acceptable way. Axiom’s milestone signifies the first time in the Isabel nickel project’s history that an owner has been granted a mining lease. Previous San Jorge tenement owner and former nickel major, Inco Ltd (now owned by Brazilian mining giant Vale) conducted feasibility studies during the 1970s based on results from over 7000 drill holes and pits and 10,000 samples. In 1991, Kaiser Engineers completed its own study on Inco’s data, determining preliminary capital and operating expenditures and conducting economic analyses and financial modelling. 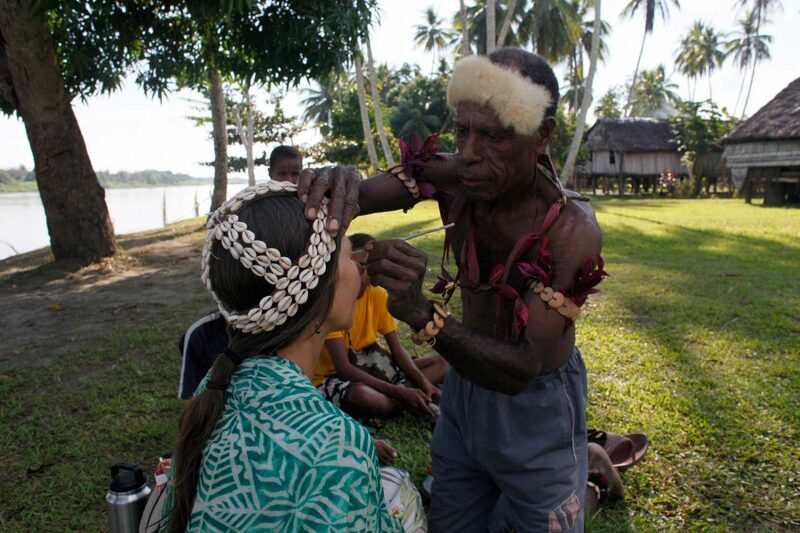 Development by either owner did not progress further due to a failure to win the support of customary landowners from the Kolosori and Bungusule tribes. In December 2010, Axiom’s collaborative approach resulted in a partnership with the landowners and the Axiom KB joint venture was established. Then in September 2014, AxiomKB emerged successful after three years of litigation proceedings instigated by Sumitomo Mining Metals Solomon over the Isabel nickel deposit. Last month, Axiom announced it would be recruiting key positions and growing its board of directors to enhance its operational expertise and strengthen its position during the project’s development. At midday, shares in Axiom were trading 34.02% higher at $0.130.